Manchester University (as part of a consortium with Liverpool and Sheffield) offers a renowned NTEC MSc course. 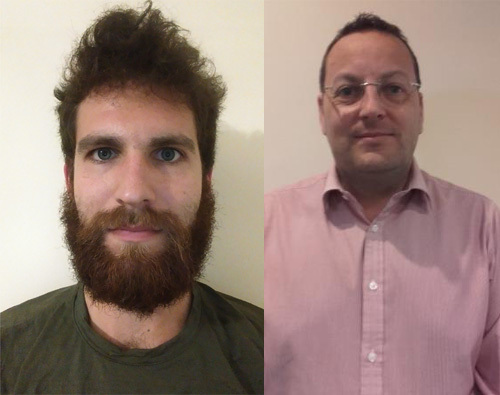 Civvy Street spoke with two recent graduates to find out more about it and how it has shaped their careers. Thomas Post (left) originally trained as a material engineer and worked as a geologist in Australia before returning to the UK to take up a place in the MoD Nuclear Scheme. Gareth Lock (right) meanwhile, works for the defence nuclear safety regulator in the Ministry of Defence and is in charge of nuclear safety for the submarine build programme at Barrow-in-Furness. Why did you select the NTEC MSc over all the other MSc’s available? 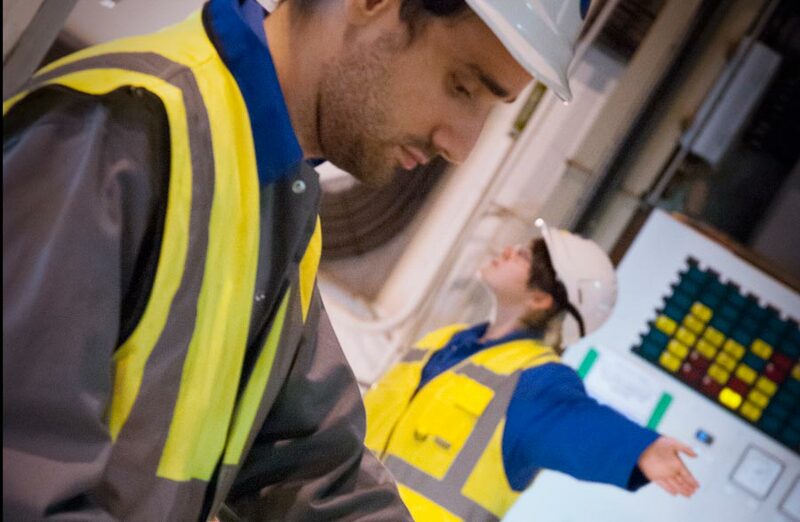 Thomas Post: I spent a lot of time researching all of the available nuclear MSc’s around the UK and the NTEC option looked like a very good one in terms of the modules and where I wanted to go with my career. A big driver for choosing the NTEC was the modular option and to be able to do it part time. Gareth Lock: For me it was about the flexibility of the course. Sometimes you can do a degree in engineering or an MSc in quality and you’re governed by the modules you do but the NTEC allows you to choose your modules – so I could choose things that interested me. That was the biggest selling point for me. Has the course assisted you with your day-to-day work responsibilities? TP: I can definitely apply the things I’ve learned in my day-to-day job but I think it’s going to be (more) beneficial in my medium to long term career path in terms of the experience and the qualifications. I’ll be better able to understand the nuclear enterprise going on around me in future roles. GL: Yes, definitely it has. Some of the things, like robotics, is something I look at and I use now so it was definitely a great help. Has the course enabled you to further your career? TP: In terms of developing your career you need to be able to prove that you are ‘SQEP’ – and that means that you are a ‘suitably qualified and experienced person’ and to fulfil certain roles you have to be at certain levels. The NTEC MSc is one of various qualifications that count as a level three which is the highest level you can be for certain parts of that SQEP category. It offers very important contacts in the nuclear community as well. There are good contacts in the university as well so if you need any help in terms of academic questions. You’re always doing report writing and presentation and things like that – they are important skills to develop continuously throughout your career so you can be a better writer, presenter, manager and leader – those kinds of things. How has NTEC provided you with the skills required for the nuclear industry? TP: It’s a very good technical basis for any of the roles you may be heading into. You choose the modules depending on where you’re going and it gives you very good grounding on what you need to understand to fulfil and develop the role. If you need health and safety information in terms of radiation levels or in terms of legislation, then you get that on the NTEC course in the modules. GL: The modules I’ve done, such as nuclear physics for instance, is a big thing in the area I work in – so understanding how physics works and understanding the principles of it has helped me to advance my knowledge. Picking the right modules it has helped me be more productive in my day job. I did most of mine as distance learning. I had to do it within term time but I could do it at my own pace. I’ve worked all my life so my education has always been through distance learning. It was nothing new for me and it fitted my lifestyle better – for other people it might not be because you need to be quite disciplined and ‘teach yourself’ – for want of a better term – but for me it worked really well. How have you enjoyed visiting all the different universities to benefit from all the experience of the consortium? TP: You have to take a module full time so you have to take a week off work which isn’t always easy – but it’s good to get away at the same time. Because you’re in the university setting, I personally find it easier to get into the learning mindset and dedicate my time in that week. I can get more out of the course because I am there physically. How do you feel your assessments are contributing to your career? TP: It definitely helps to have the information in mind when I have to go back over it and I’ll really understand it rather than learning it and ticking a box and leaving it – it definitely helps solidify that information in my mind. How did you feel your final year project contributes to your career? GL: I can see how it can. One of the things we’re struggling with in the UK is that there are not enough skilled people in the nuclear market so companies have got to ‘grow their own’. I’m going to look at some of the problems I highlighted in my project. TP: Most definitely. You’ve got to look at it and look at your particular situation and see if it’s the best course for you because there are other courses out there but if it matches what you are looking for, it’s definitely a very good course. GL: Definitely, yes. I thought it was a very good course. I’d thoroughly recommend it.